Orchid Essentials is a brand born from visionary thinking in an unexpected industry. 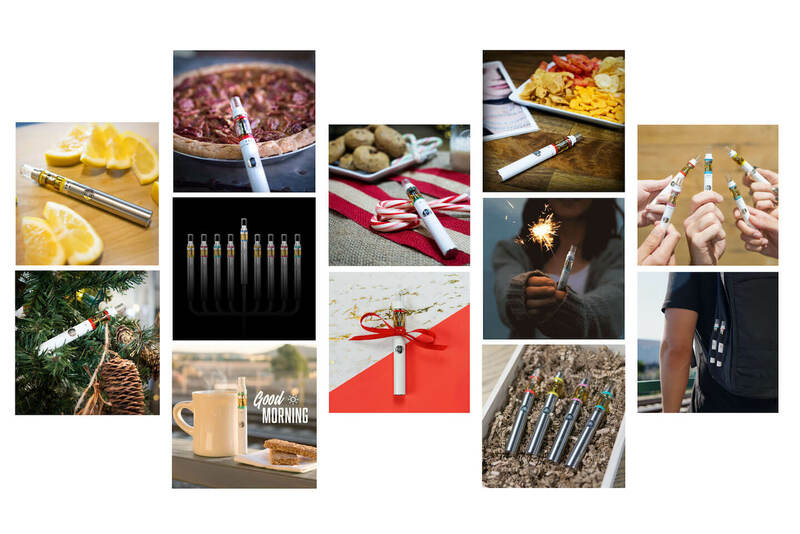 With the cannabis industry surging in legalized states and recreational legalization on the California horizon, Orchid Essentials sought to create a superior experience for a new audience. In a space dominated by overly masculine branding often aimed at a very young end user, the Orchid Essentials team wanted to stand out and create a product that could be more universally enjoyed. 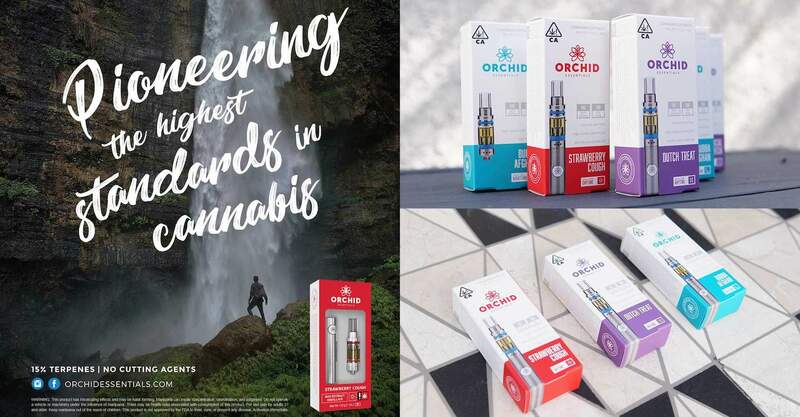 From hardware driven by cutting edge technology to the highest quality cannabis material, Orchid Essentials is a high-end offering meant to catch attention and change perceptions in a previously taboo space. Orchid Essentials tasked Gigasavvy to help them build their brand from the ground up. We set out to create something with mass, gender neutral appeal that would be appreciated by new and experienced cannabis users across a range of demographics. Orchid Essentials faced a highly regulated marketing landscape. The subject matter faces a critical hurdle of not being legally allowed to advertise on all major platforms, and social media must be a primary source of brand engagement. To cultivate an audience in cannabis, you have to follow the lead of the farmers–go organic. Gigasavvy set out to communicate the Orchid Essentials vision through a thoughtful, clean and friendly brand identity. The brand is played out through its logo, messaging, and imagery, which focuses on lifestyle photography and inclusive themes. To grow and engage Orchid Essentials’ social media audience, we focused on Instagram, where a beautiful product has a chance to shine. We focused on making Orchid Essentials’ feed a go-to resource for cannabis knowledge, and customer care that goes the extra mile. We help to convert casual fans to loyal customers by engaging where it counts with transparency and one on one connection that is rare to find in the industry. Goal: Create a mark that stands out from competitors in the field, and that has staying power with customers. When doing research on the industry, we found many brands playing to a similar narrative and style. With Orchid Essentials, we looked to break the mold and appeal to a broader audience. In a new and highly regulated industry, our challenge was to create packaging that is unique, compliant with regulations, and eye-catching. We wanted Orchid Essentials to not only stand out on dispensary shelves, but in the memories of consumers. On Instagram, image is everything. Without the perfect image to capture your target audience’s attention, you will get lost in the shuffle. Especially where no advertising is possible, the visuals created have been critical to Orchid Essentials’ success. 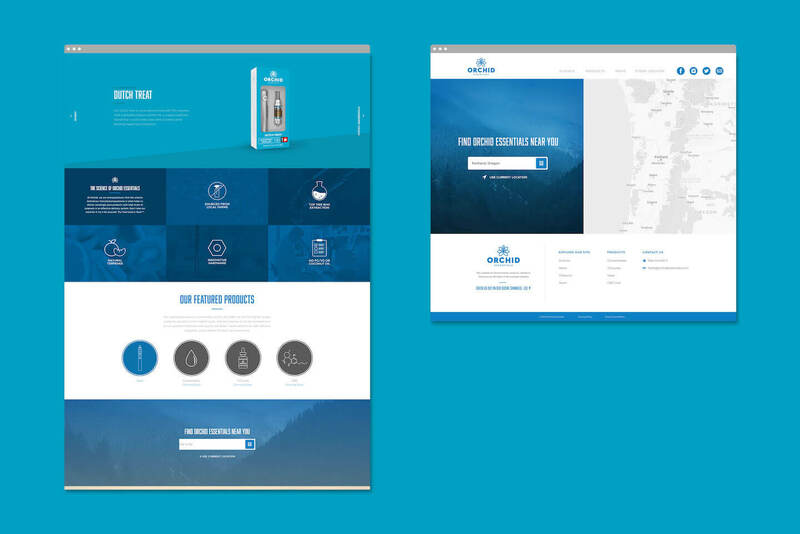 Where standard organic engagement usually ranges in the 2-3% range, the visuals created for Orchid Essentials have resulted in an average of 8% organic engagement. 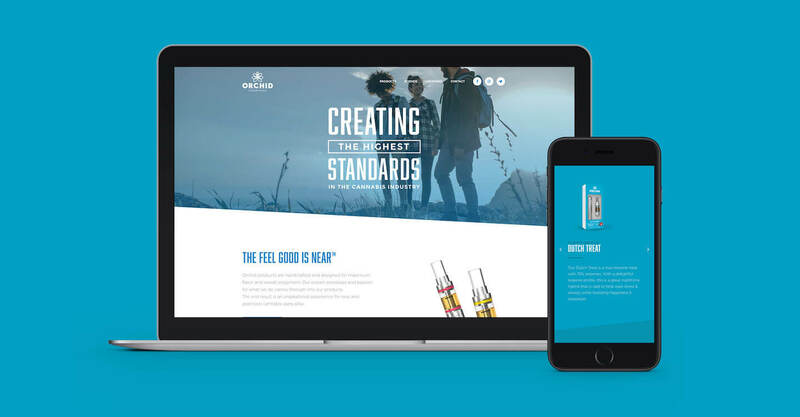 To orchestrate a successful brand launch, Orchid Essentials wanted to make a strong statement that communicated the high quality of the product, and created an tone that felt inclusive to new audiences. The multi-channel roll-out included digital and traditional ads using high impact photography and bold statements.